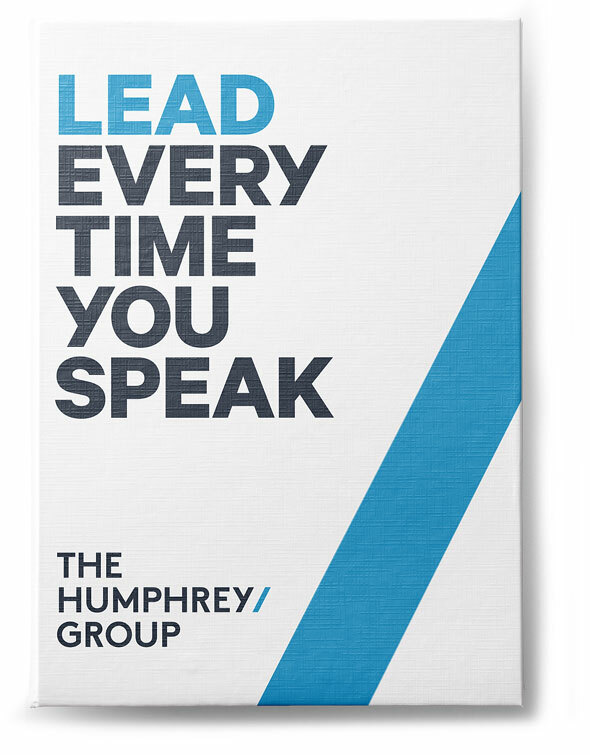 For decades, The Humphrey Group has been committed to helping women develop the communication skills that help empower them to lead in the workplace. We are excited to support International Women’s Day, and believe in the need to #PressforProgress around the world. Since 2001, our women’s leadership program, Taking the Stage®, has helped organizations empower their female staff. While the program has reached over 500,000 women worldwide, it is most often offered to women when their companies bring the program in-house. That’s why this International Women’s Day, we wanted to share a few of the strategies from Taking the Stage, that may help you or women you support in the continued #PressforProgress. The process of choosing to take the stage – whether that means being heard in a meeting or going for a promotion – begins with intention. Every word you use, every action you take, every gesture made, will collectively define what you stand for. These cues send strong signals to others about who you are, and create a brand that others come to know. Just as companies spend countless hours cultivating their brand, so too should you, if you want to realize your potential. And remember: a leadership brand is not just for executives; any role where you want to influence others consistently requires you to be seen and heard as a leader. Write down the words your peers at work would use to describe you. Next, write down the words you wish they used to describe you. How different were the two groups of words? If there was a difference, reflect on how you can start to reshape your leadership identity in your day-to-day work. For example, if ‘inspiring’ is one of your words, but doesn’t appear in how you are perceived, think about why not. Perhaps you need to share your vision and convictions with colleagues about what inspires you. Or if, ‘courageous’ is in your list but not theirs, think about the opportunity to speak out in confrontational situations. The path will be yours to chart, because there are many ways to reshape your leadership identity. The key is to do so intentionally. 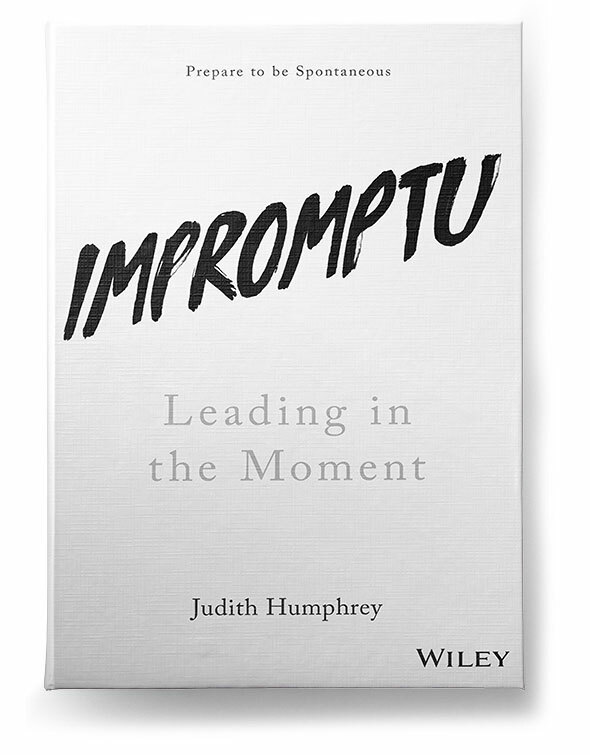 What holds women back from “Taking the stage” and pursuing opportunities to speak and lead? Many women we work with describe a negative inner voice that holds them back; this voice is often referred to as the crow. Silence it. You know you have a crow sitting on your shoulder if it squawks that you aren’t good enough, smart enough, experienced enough, and so on. While this voice isn’t unique to one specific gender, the women we work with mention it more often than men. It’s the thing that stops us from speaking up in a meeting, from taking credit for our own work, and ultimately, the voice that robs us of our leadership. For women to truly take the stage, we must start by supressing our inner crow and giving less power to those negative thoughts. Reflect on your experiences to determine when your crow is loudest. What does it say in those moments? Write out what this voice is telling you. Rewrite these statements and change them into positive ones. Next time your crow speaks, repeat back to it your newly written positive statements. Say them with conviction, repeatedly, until your crow holds no sway over you – and you are speaking with confidence. What does it mean to have a leader’s presence? It starts with literally being physically present, taking up the right amount of space in the room. When you have something to say, own your space. In our work with women we often see physical minimization. For example, when sitting, women (more frequently than men) often cross their legs, sit on one small part of the chair, or put their hands in their laps. In short, they take up less space than they are entitled to. While you don’t want to flail and take up the equivalent of two chairs, be present so you can be heard. When combined with strong eye contact, confident gestures and open body language, your ideas will be well conveyed and your leadership clear. This International Women’s Day, The Humphrey Group salutes every woman who continues to #PressforProgress and every individual and organization who supports them in that quest. We encourage women to Take the Stage, speak up, and be recognized. Let’s silence the crows and be heard – and the world will be better for it.